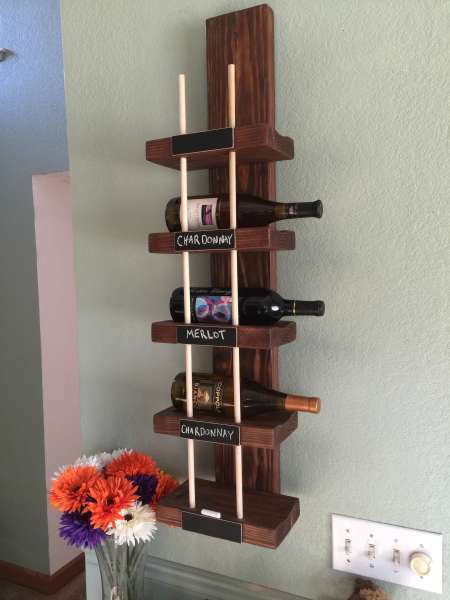 This is a wine rack that I made recently. 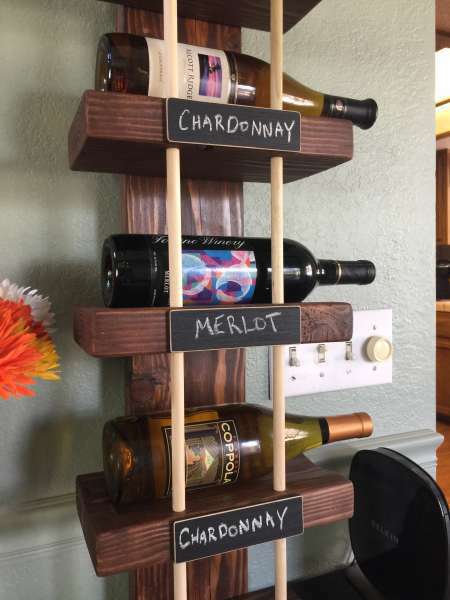 It is made out of 2x6 Douglas Fir, Poplar dowels, and 1/4" plywood for the chalkboard plates. 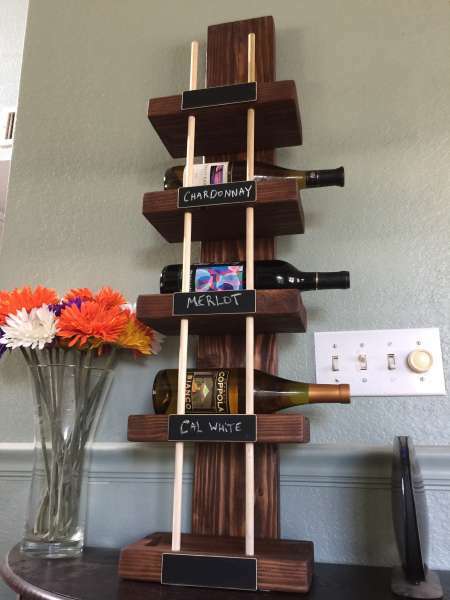 I used my table saw to cut out the coves in each of the shelves, but left a ledge so the bottles dont slide out of the other side. 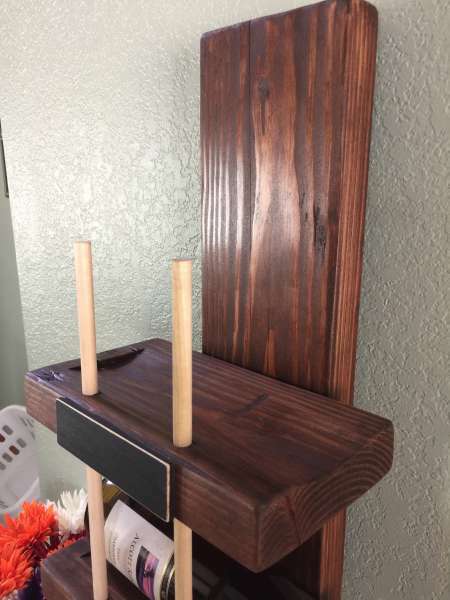 I used Danish Oil as a base sealer coat, then topped it with Chestnut Gel Stain. Hope you guys like it. It's very nice Eric .... well done buddy !! I would also like to know how you attached it too the wall ... nice job their too!! This is a very unique design and approach to an item that has been around for ever. I really like how you made this Eric I am sure everyone will be quite taken with it. Well done. Nicely done indeed Eric!! Congratulations on a fine project! !